Pontyates is a former mining village within the Carmarthenshire anthracite coalfield. From the 18th century until the mid-20th century mining played an important part in the development of the area. The historic house of Glyn Abbey has its origins in the 15th century. This was home to three Lord Lieutenants of Carmarthenshire and later to a group of Benedictine Monks 1903-1905. The Gwendraeth valley was a hotbed of the Rebecca Riots in the early 1840s. A gate near the river bridge in Pontyates was one of those torn down. The local railway closed to passengers in 1953 and to coal traffic in 1996. The track bed is now a popular trail for walkers, including the Pontyates Mining Heritage Walk. 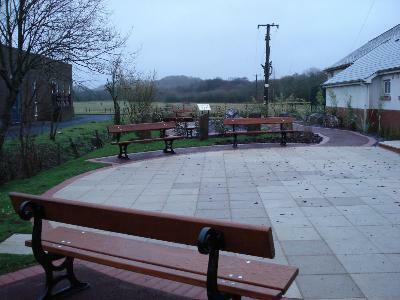 The village is divided between the Wards of Llangyndeyrn Community Council and Llanelli Rural Council. It comes under the control of Carmarthenshire County Council. Other services in village –Surgery, Chemist, two Schools, Rugby Club, Post Office, Petrol Station/Supermarket, Fish and Chip Shop, Chinese Restaurant/Takeaway, and two Public Houses. Pontyates Miners’ Welfare Hall was built in 1938 using funds from the Miners’ Levy. It is managed by a voluntary Committee (Pontyates Welfare Association - Registered Charity No 228339). Income is achieved through hiring out of facilities and fundraising. Grants have been received for capital and revenue projects. 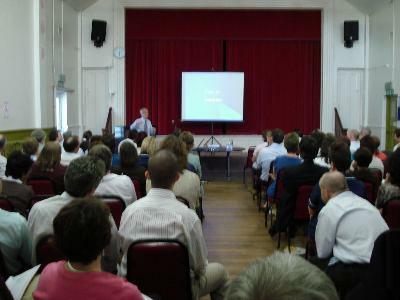 The Hall offers a venue for conferences, concerts, weddings, parties. With several smaller rooms it is perfect for local meetings. 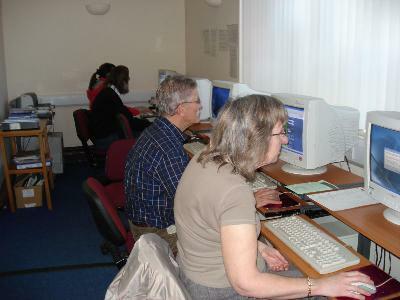 It is used by more than 20 local organisations on a regular basis. Main Hall (with stage) Capacity 120 people (30 on balcony). Professional light and sound systems, comfortable cushioned chairs, projector and screen. Fully equipped Kitchen - electric cooker, dishwasher, fridge, two sinks and work surfaces. Cups, saucers, plates, glasses for various functions (100 people). Kitchen can also be used for meetings - conference table (seating 12), notice board. 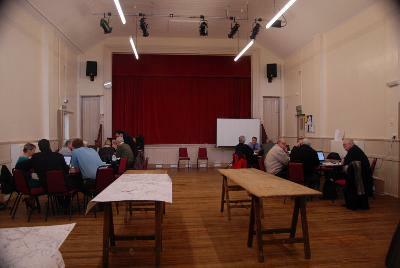 Additional Room suitable for meetings, workshops, playgroups – seating for 20 people. Library withICT computer suite - 8 terminals with internet access, photocopying facilities, reference books. Parking for 40 cars in public car park opposite. 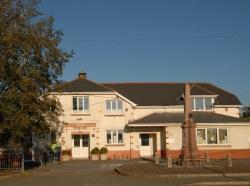 Pontyates village is situated halfway (8 miles) between Carmarthen and Llanelli on a direct route B4309. The Hall is situated in the middle of the village opposite the large car park (40 parking places) close to the Texaco petrol station. A war memorial stands in front of the Hall.